Credits earned in the Emergency Medical Services Professions Intermediate Certificate Level I and Emergency Medical Services Professions Paramedic Certificate Level I programs may be applied to this degree. The emergency medical services professions associate of applied science degree includes knowledge, skills and behaviors necessary to recognize, assess, and manage medical emergencies under the supervision and direction of a physician. Graduates can expect career opportunities with transfer and emergency ambulance services. Students completing course work in this program are eligible to take National Registry exams. 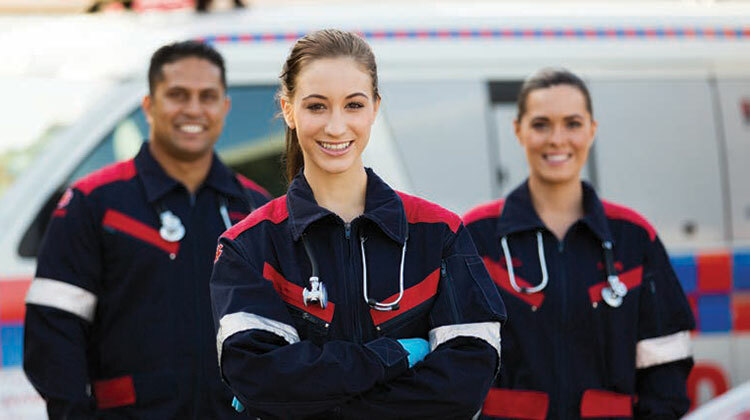 Advanced placement is available for EMTs, EMT-Is and paramedics who are currently certified in the State of Texas and who enter the EMS professions program having taken approved EMS training courses for which college credit was not given. There are different admission deadlines for the EMS programs at each campus. Please contact the program director for campus specific admission deadlines. The number of students is limited by spaces available for clinical experience in affiliated hospitals and EMS provider organizations. Competitive selection of students may be necessary if the number of applicants exceeds the number of seats available. Students must meet the basic requirements for admission to the Lone Star College (LSC) and apply to LSC. Admission to LSC does not constitute automatic acceptance into the EMSP program. Applicants may also be required to show proof of medical insurance as required by clinical agencies. Student medical insurance is available through LSC. Background checks are done through LSC approved background check vendors. Additional program costs to be assumed by the student include but are not limited to: background check, drug screen, medical insurance, immunizations, uniforms, malpractice insurance, transportation to and from clinical sites, and skills examination fees, documentation fees, exam fees, skill testing fee. Admission to the EMSP program does not guarantee eligibility for the National Registry of Emergency Medical Technicians or certification by Texas Department of State Health Services. Criminal background checks are part of the screening process conducted by the Texas Department of State Health Services. As a result, some candidates may be ineligible for certification. Candidates with concerns about their background check should contact the Texas Department of State Health Services in Austin with their specific concerns. LSC personnel are unable to make any determinations as to a potential candidate's eligibility for certification. If at any time during enrollment in any LSC emergency medical services program a student is convicted of a felony or misdemeanor, the student must inform the director and clinical coordinator in writing and submit a current background check. Apply for and be admitted to LSC. Students must make formal application to the EMSP department to pursue course work beyond EMSP 1501/1160. Applicants who are currently certified at the EMT-Basic or EMT-Intermediate level or have completed EMSP 1501 (EMT Basic) and EMSP 1160 (EMT-Basic Clinical) but who do not hold EMT-Basic certification may be provisionally accepted. Students are only accepted for advance coursework in the fall at LSC-CyFair, LSC-Montgomery, and LSC-North Harris. Transfer students should contact the program director for start dates. LSC-CyFair has an accelerated one year program that begins in the fall. An application portfolio must be submitted according to the deadlines established by the EMSP department of each college program. The following should be included in the portfolio. Documentation of high school diploma or GED. Copies of all relevant academic transcripts: high school, college or university, military service schools, and other (proprietary schools). A resume or curriculum vitae showing work history with emphasis on EMS or other health care experience. Document immunization or laboratory report of immune serum antibody titer against tetanus, diphtheria, pertussis, mumps, measles, rubella, varicella and Hepatitis B. Document negative results from a tuberculosis test (Mantoux). If the test is positive a chest x-ray should be performed within the time limit established by the facility. Submit the radiology report with the immunization form. If a positive test was obtained, a screening questionnaire should be completed prior to the second year of the program. Gold Test results will be accepted. Proof of successful completion of the American Heart Association’s Basic Life Support for Health Care Providers within the previous two years, or an equivalent course approved by the program director. Please visit the LSC-CyFair EMS Department for additional information concerning the LSC-CyFair EMS program including a downloadable application. The LSC-CyFair EMSP Program is accredited by the Commission on Accreditation of Allied Health Education Programs upon the recommendation of the Committee on Accreditation of Educational Programs for the Emergency Medical Services Professions (CoAEMSP). Please visit the LSC-Montgomery EMS Department. Lone Star College-Montgomery Paramedic Program has been issued a Letter of Review by the Committee on Accreditation of Educational Programs for the Emergency Medical Services Professions (CoAEMSP). This is NOT a CAAHEP accreditation status. It is a status signifying that a program seeking initial accreditation has demonstrated sufficient compliance with the accreditation Standards through the Letter of Review Self Study Report (LSSR) and other documentation. Letter of Review is recognized by the National Registry of Emergency Medical Technicians (NREMT) for the eligibility to take the NREMT's Paramedic credentialing examination(s). It is NOT a guarantee of eventual accreditation. Please visit the LSC-North Harris EMS Department for additional information, including a downloadable application for the LSC-North Harris program. The LSC-North Harris EMS Professions Program is accredited by the Commission on Accreditation of Allied Health Education Programs upon the recommendation of the Committee on Accreditation of Educational Programs for the Emergency Medical Services Professions (CoAEMSP).